Get a powerful storefront light with the attractive 16" Warehouse Shade. Featured here on a long, hooking aluminum gooseneck arm, this stylish commercial light is ideal for signs and storefronts where fixtures need to reach up and over building features like awnings. The large Warehouse Shade has a brilliant projection and standard incandescent gooseneck lights can install to most standard 4"D junction boxes. Order Warehouse Gooseneck Lights online with incandescent lamping and a choice of 25 rust resistant powder coated finishes (pricing varies). Outdoor fixtures are constructed out of commercial-grade aluminum from shade to mounting plate. 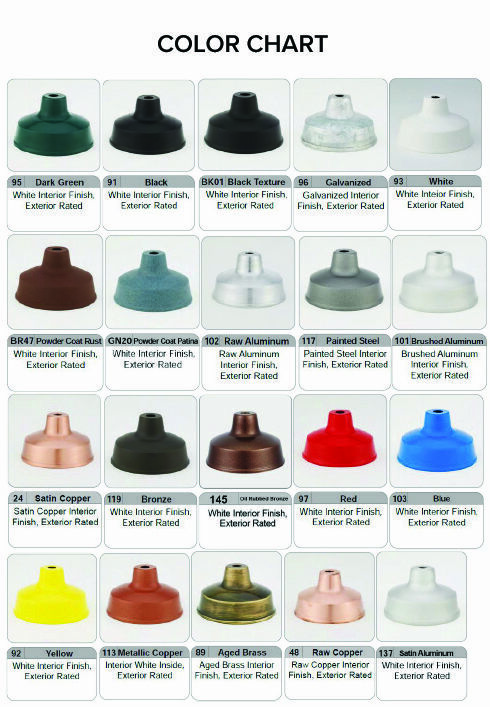 To upgrade lamping or add accessories like wire guards and decorative globes, please call toll free. Exterior Gooseneck Lighting is also available in high-intensity discharge (MH and HPS), LED and compact fluorescent configurations.